Denon has created the world’s first AV receiver that can communicate wirelessly with any HEOS wireless speaker and wireless subwoofer, letting you achieve 5.1 surround sound without all the fuss of wires. This is an amazing receiver, yet many people are not aware of its features and don’t use it to the fullest. This blog post is here to guide you through what the HEOS AVR can do, whether you’re interested in buying one and want to be certain of its abilities, or for those who have one and want to find out more. Many receivers have the same look and the same connectivity features. They were all huge black boxes that would stand out wherever you would put it, and would need to be connected to the speakers with wires. With one of those receivers you would have wires traipsing around the whole room, not only is it unsightly but is also a hazard. With Denon’s HEOS AVR, the wires needed are minimum but still needed sadly. We haven’t quite reached that point in time where everything is wireless, but this receiver is the next best thing. 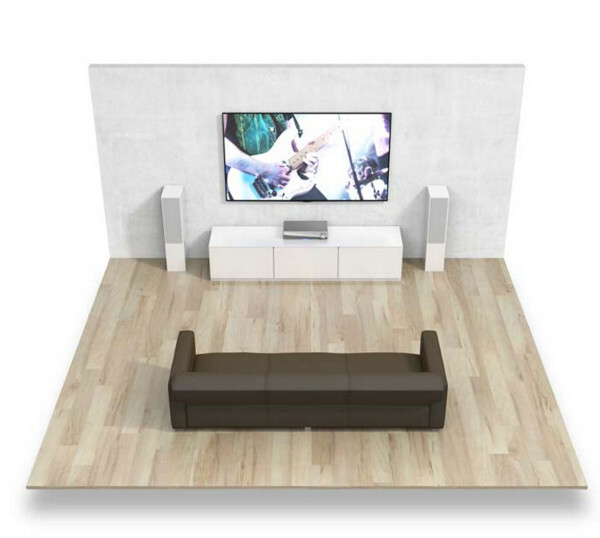 You can have a 2.0 setup, meaning that you would be using 2x front speakers (a left and a right.) These two speakers are wired, but the wires are easily concealable. To have a 2.1 setup, you would need to add a wireless HEOS Subwoofer to your 2x front speakers. 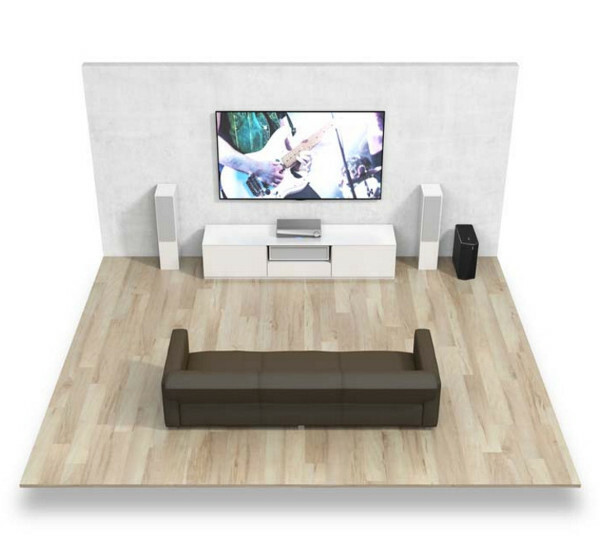 A 3.1 setup would consist of 2x front speakers, one wired centre speaker and the wireless HEOS Subwoofer. And lastly, to have the full 5.1 channel setup, you would have the 2x front speakers, one centre speaker, the wireless HEOS Subwoofer and 2x wireless rear (or surround) HEOS 1 HS2 speakers black or white. To connect the AVR to your TV you will need one cable and an app. That’s it. Once the receiver is plugged into the TV and you’ve downloaded the app (which is available on iOS, Android and Kindle Fire) simply follow the instructions on the screen and within minutes you will be ready to go. You can control all your sound easily within the app, if that doesn’t suit your fancy then you can use the remote control provided with the receiver, or even your TV remote. 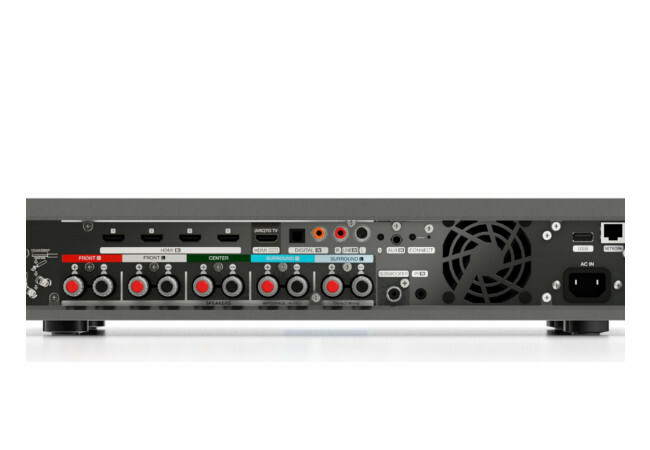 On the back of the receiver are other connectors like 4x HDMI inputs and 1 output- the 4x inputs all support HDCP 2.2. There are 5 speaker terminals for if you want to connect your speakers, 1 subwoofer connector, 1/1 optical/coaxial connector and a USB port. In addition to all of this you can also connect using Bluetooth. 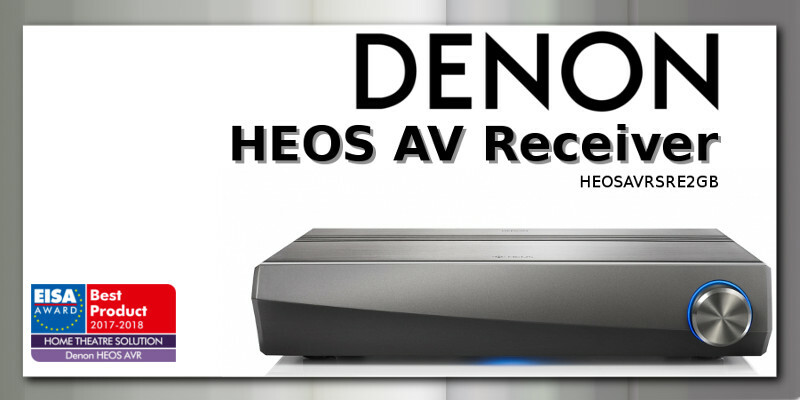 Again, unlike the other bulky and intimidating receivers, the HEOS AVR has a much more user friendly look to it. The design of the receiver is minimalistic and will look good no matter where you put it. Just on a side note – if you want to place it in a draw or somewhere similar, you can as you can use the app to control the receiver. The only thing located on the front of the AVR is a volume dial. You’ll be able to see an LED light at the bottom too, to show that it’s on. Found at the back are all the connectors, which are colour coded so you can clearly see which connector is which. Denon’s HEOS AVR can support all of the major streaming formats (which are fully integrated), including: Mood Mix, SoundCloud, Spotify, TuneIn, Tidal, Napster and Deezer. 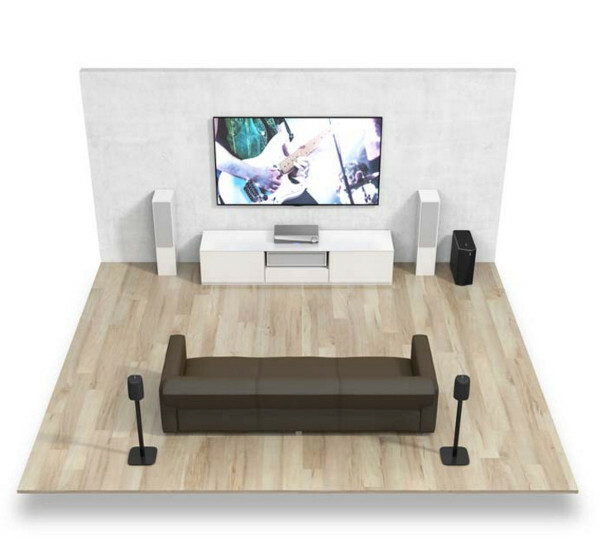 You can stream all your music to any room, or you can play the same music to all rooms that have HEOS speakers. Each HEOS player must be synchronised to an extremely high degree, and because they are, it can provide you with unmatched synchronisation performance within microseconds. And to increase the sound quality further there are 5 discrete power amplifiers installed, high grade audio components and a clock jitter reducer to give you the best out of your media. The dimensions of the HEOS AVR are 434 x 90 x 277 (mm) and it weighs a sturdy 6kg. Power consumption is 100w, when network control is on it’s 4.5w and when it’s on standby it’s 0.3w. The maximum power output of this receiver is 100w. This is an award winning product. It has been given the EISA Award for being the Best Product 2017-2018 – Home Theatre Solution, with them saying to “Ditch most of your cables and marvel at the magic of wireless multi room surround sound.” There is truly no other receiver out there like this one: it cuts down the need for so many wires, it’s user friendly for those who are intimidated by technology and is just beautiful to look at. Denon prides itself on creating the perfect entertainment component, and this receiver is proof of that.